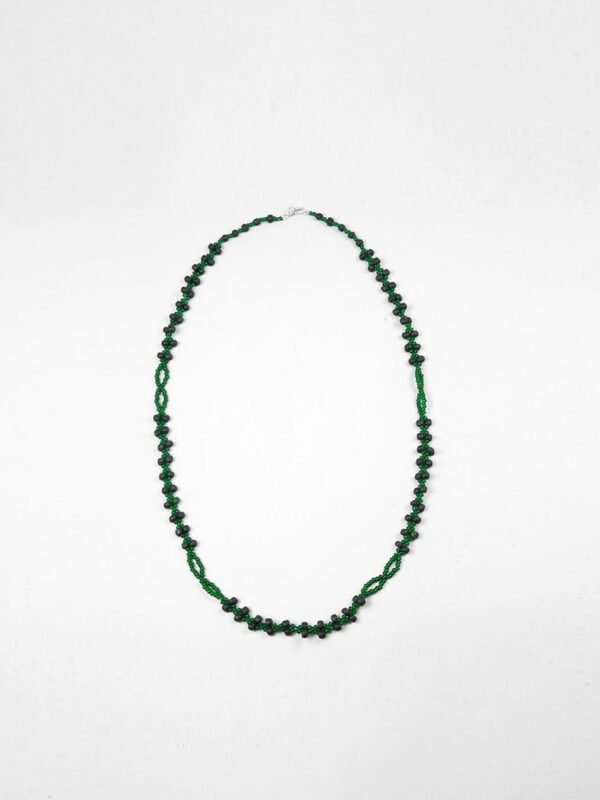 One size necklace in green and black. This piece features unique Venetian Murano glass pieces collected by the Attombri brothers. 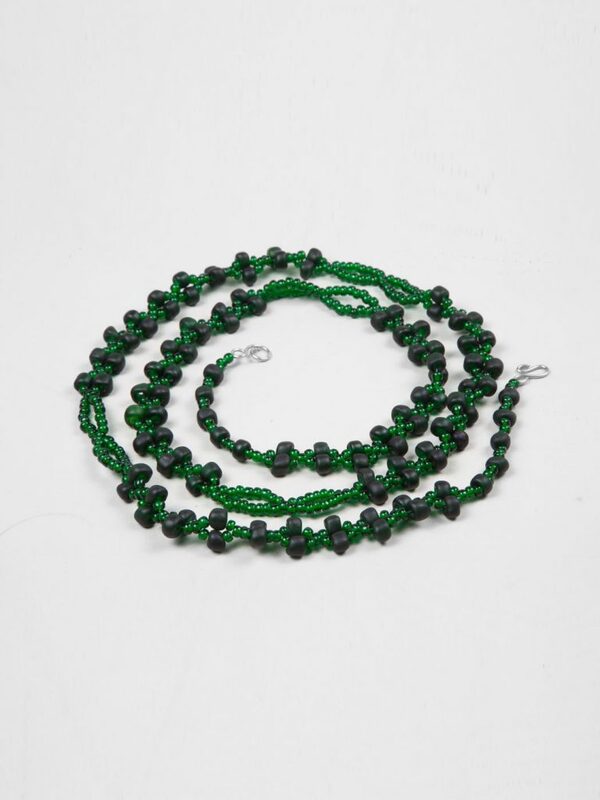 They interweave the sculpted glass beads with metal threads without gluing or welding, meaning each necklace is unique and individual.